For decades, national censuses has been the go-to source for information about demographics, providing insights about how people live, work, and congregate. Increasingly, however, business strategy is being shaped by a newer player, Google Street View, to understand how people go about their daily lives. Researchers are beginning to use the rich information captured in images taken by the tech giant. In turn, this information is shaping how Google Street View can help spot trends. In the past year, researchers in the United States and United Kingdom have made technology news with their applications of Google Street View images. At Stanford, Timnit Gebru began with 50 million images of cars taken by Street View in 200 U.S. cities. Using machine-vision algorithms, Gebru’s team was able to classify 22 million car images into 2,657 categories, based on the car’s make, model, and age, and extrapolating a value for each vehicle. The total cars represent about a third of all cars on the road in those cities. Next, the team used other algorithms correlated the car data with information from the U.S. Census and presidential voting records in 35 of the cities. The researchers were wondering whether the algorithms used, when compared to the other metadata in census and election records, could accurately predict socioeconomic conditions in the areas. The team found high levels of correlation in education, income, and occupation. The car information also allowed the scientists to accurately predict voter preferences for precincts within the designated cities. Google Street View information helps researchers understand the habits of residents in the U.S. and U.K. In February 2018, Rahul Goel of the University of Cambridge used Street View data to better understand the activity levels and transportation habits in Britain. The team downloaded panoramic Street View images taken from 34 cities across Great Britain in 2011. They then manually counted the cars, cyclists, motorcyclists, and pedestrians in each image. The data was compared to information in the 2001 U.K. Census and the Active People Survey, which measure the demographic distribution in each area, modes of transportation for business, and how frequently they walk and cycle. The team, like its U.S. counterparts, found a high correlation between the Street View and government data. There are some limitations to the technique. The U.K. researchers admit that the Google images do not indicate the day or time when taken. However, the benefits are considerable. Google’s Street View project has been underway since 2007, meaning it can be used to evaluate changes in travel patterns over time. 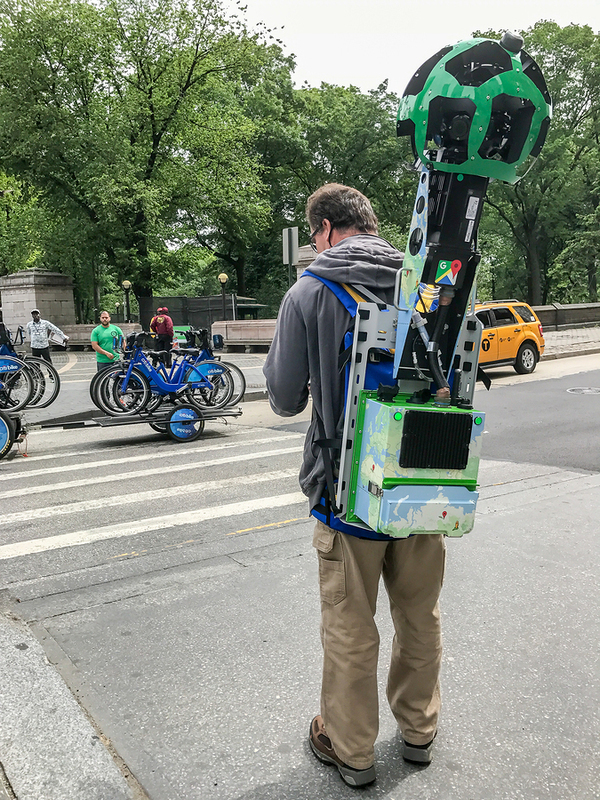 More broadly, in both cases, the application of Street View data can be realized in many other areas, such as health research, community planning, and public policy. The information could also be used to identify trends in clothing, hairstyle, and communications modes, for example. Google is also not the only organization collecting information. The growing use of drone technology, closed-circuit cameras, and the Internet of Things means that there is much more data available to researchers than ever before. Questions remain unanswered regarding privacy and the use of this information without permission. However, the availability of such rich information provides opportunities for meaningful research … just by counting cars and bikes. Is Machine Learning the Next Line of Cybersecurity Defense? Can Recruiting Students Fix the Cybersecurity Shortage? Is the Data-Driven Company Stuck in First Gear?